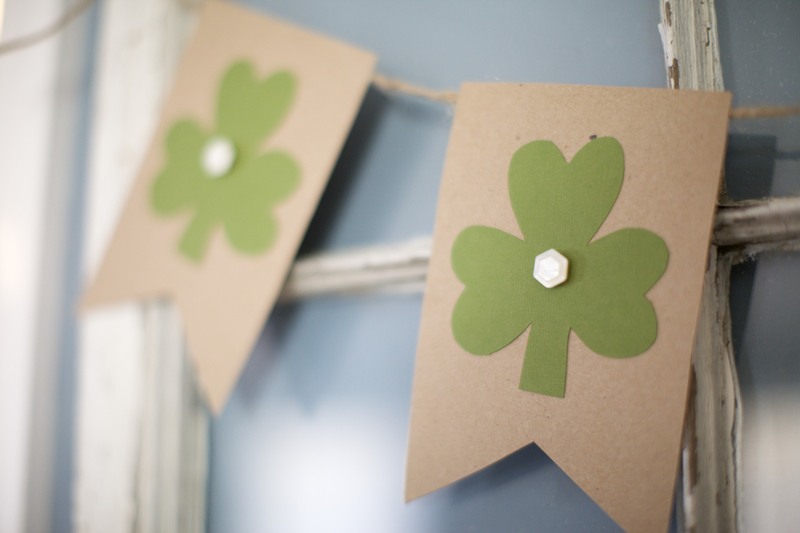 It’s still a few days away, but I wanted to share my March St. Patrick’s Day decorations! 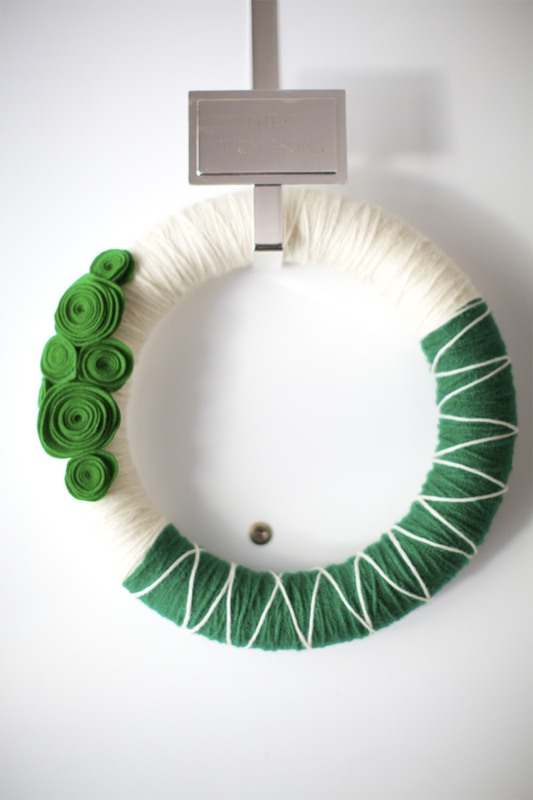 I want to make a millions yarn wreaths. I love them. Here’s my green one! It was my first attempt at the flowers made out of felt circles. Simple, sweet and easy to make. For the seasonal window, I found this sweet banner on Pinterest. Mine isn’t exactly the same. 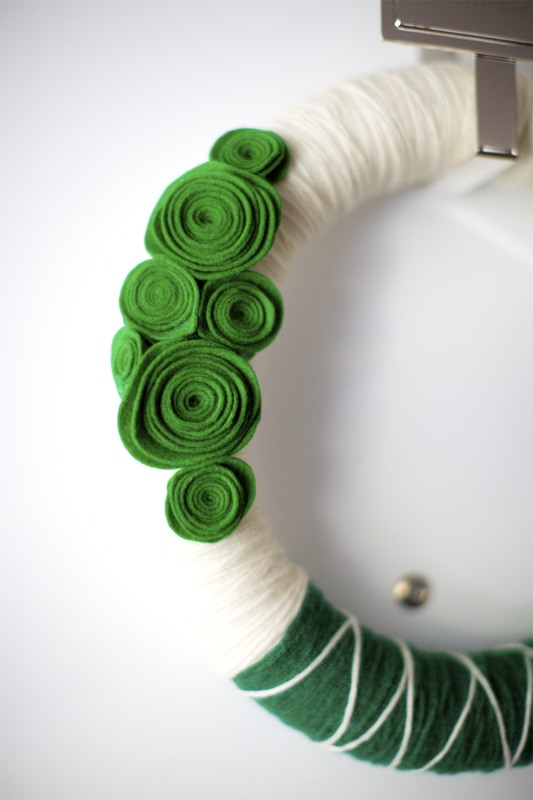 I didn’t use book pages (although I love the book pages) and I used a toned down green, as it fits in our house better. 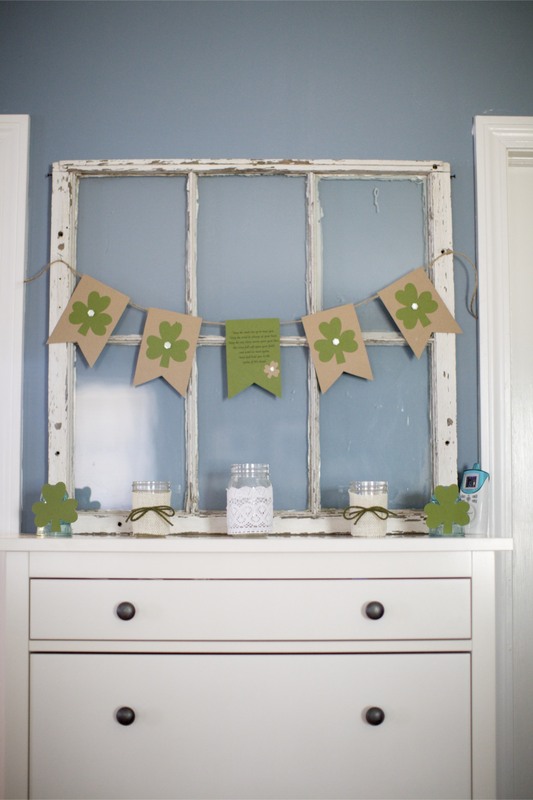 I added a pennant with the Irish blessing, mostly just because I love it. Also I love how the baby monitor snuck into this picture and I didn’t notice it. I think my favorite thing about this is that I got to use these buttons that I love. I’ve been looking for a way to use them in a way that they’re visible, so I’m glad I found one! Happy March and St. Patrick’s Day! Thanks for the idea, Rebecca! I so enjoy your blog!